$2.99 to $139.99 & FREE Shipping on orders over $59 $35. Though just released in 2012, Mosiac hops have become a high-demand aroma hop. Even with a high alpha content, the intense aroma of fresh pine, mango, blueberry and citrus are the main event when you brew Mosaic hops. 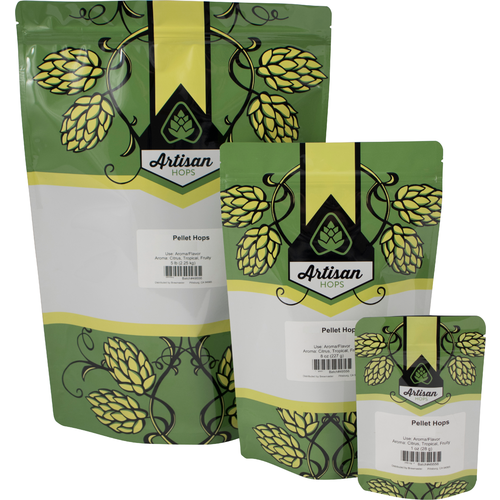 Generally used in Pale Ales, IPAs, and Stouts, so far Mosiac has been found to make a great addition to any recipe. Never tried them. Hear a lot of folks like them. i like it, send me one. Love these hops I use them very often. 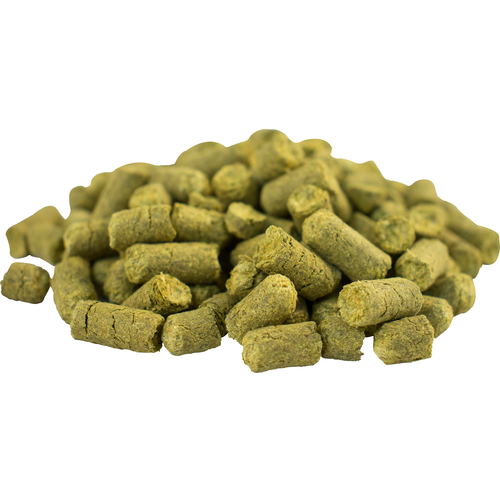 Mosaic hops are my favorite, and I need this for an IPA I am about to put together! They are some of my favorite hops. Thanks again! From my single hop experiment I found the Mosaic bittering to be a bit harsh on the back of the throat, but the aroma is fantastic. Me thinks that it should be paired with other hops, maybe Citra. They're in the freezer awaiting my next brew day. Love mosaic in IPAs. I am using this hop in a tropical blonde ale (along with Citra and Galaxy) and the aroma is strong with mango and citrus. The taste is citrusy without being sweet. Resealable bags are nice if you’re not using them all at once. After drinking and loving a local commercial mosiac hops brew, I decided to brew a single hop mosiac ipa. I used the More Beer single hop mosiac kit as a base, and added light dme to increase abv to 8.5% and added an additional ounce of mosiac pellets at flameout to increase hops aroma. I love this brew which has intense lemon flavor and aroma. I just had brew day today 03/30/18, so I have some time to wait to tast it. I’m pretty sure it’s going to be a hit for me just by tasting the wort. Excellent hops for aroma and flavor. I made a smash Yellow Rose brew and it is amazing. All the flavor and aroma you would expect at a competitive price. My IPA never had it so good! Absolutely great hop bursting with so many flavors. I get grapefruit, citrus, tangerine. I've paired Mosaic with Citra and Galaxy and made some absolutely delicious, juicy ipas. Definitely going to do a smash with Mosaic in the near future. Done mostly last minute boiling, flameout and dry hopping. The hops were great and really made the beer shine. More beer has exceptional customer service and truly care about their customers. From before the order is placed, and even after delivery, they support their customers and are always there to help and make things right! Produced amazing brew! Incredible flavor!!! Love these hops. Very versatile. Worked great in my ne ipa! Very tasty and complex fruity hop, great in combination with others. I have a citra Mosaic dry hopping right now, it already tastes amazing! I use in most of my IPA’s and love the results. Needed 2oz for a second brewing of a personal recipe. I bought an 8 oz bag though. Strong “hop oil” or kind of “diesel” smelling in the bag. Hadn’t got that from my previous use of Mosaic. Day 12 and the beer is almost done tastes amazing. This is my favorite SMASH hop and single hop pale ale. Just so good! Newer hop, makes a very nice SMASH. I have used Mosaic a number of times, I think my favorite is in a smash. If you have never tried Mosaic before, give it a try on something simple. Just some 2 row, some Mosaic and pitch some US-05 on it and you will have a wonderful yet simple beer. We used this in a blueberry ESB we recently mad, and it worked great! Give it a try, and see how the flavors in this bad boy shift to provide interesting fruity flavors. Some people are dismissive of Mosiac since they are a newer and more "fashionable" hop. There is good reason Mosiac is so popular. Nice citrusy and resiny flavor. I have a single hop pale ale I use Mosaic in and I love it! I used these hops as a part of a clone for a Samuel Adams Latitude 48 clone. They produced an outstanding aroma and bittering. Brewed a Mosaic/Chinook IPA and it turned out fantastic! We taste a lot of tropical flavor, with a hint of blueberry at the end. I REALLY enjoy this hop in a bright, dry, hoppy red ale. Its ok as in a single hop beer, but the best results will come from blending it with other high-oil varieties.